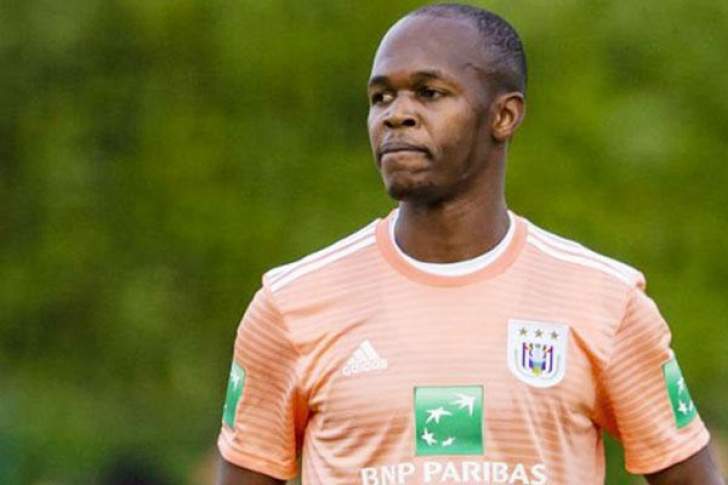 A WINDOW of hope could have opened in the club career of Warriors captain Knowledge Musona after his Belgian league side Anderlecht fired their coach Hein Vanhaezebrouck yesterday, following a string of poor results. The striker had been frustrated by lack of game time under Vanhaezebrouck since joining the club at the start of this season, and reports earlier this month suggested that he was contemplating returning to former club KV Oostende in the January transfer window. Musona has made a paltry 10 appearances for the former champions in all competitions this term, six of those coming in as a substitute for a total 299 minutes – scoring just one goal. The 28-year-old former Kaizer Chiefs and Hoffenheim player is behind the trio of Croatian forward Ivan Santini, DRC-born Belgian Landry Dimata and Ghanaian teenager Francis Amuzu in the striking pecking order at Anderlecht. He has also occasionally been deployed at left wing, and sometimes deep in midfield by Hein, positions that he never really enjoyed. So frustrated with life at the Brussels-based club is the forward that he even reportedly indicated he was agreeable to a loan move to bottom-of-the-table side Waasland-Beveren next month. But all that could change after the departure of Vanhaezebrouck, a move likely to provide a lifeline to the former Aces Youth Academy star, who is one of the stars to emerge from Zimbabwe in recent years. Musona's failure to nail down a place at his club was also becoming a big worry to Warriors coach Sunday Chidzambga, who is hoping to have his talisman fully fit when the Africa Cup of Nations (Afcon)qualifiers resume in March. Zimbabwe, top of their group in the qualifiers, need just a point at home against Congo Brazzaville to book their place at the Afcon finals to be staged in South Africa in June. Vanhaezebrouck got the sack after a series of poor results that led to their exit from the Europa League and drop to fourth in the domestic first division. Anderlecht finished bottom of their Europa League group after three draws and three defeats, and lost 2-1 to Cercle Bruges on Sunday to leave them 11 points behind league leaders Genk. Musona was an unused substitute in the match. Their previous three league matches ended in a draw and two losses. "The team does not have enough points in the Belgian championship and we have been eliminated from the Belgian Cup and the Europa League. We need to stop this trend soon," Anderlecht sporting director Michael Verschueren said in a statement. "We want to thank Hein Vanhaezebrouck for his hard work for the club."